Isn’t it astonishing that Jesus is often found hiding in plain view? It is like those children’s puzzles where two drawings are side by side. We are challenged to find the differences. They are the same picture, but with disparities. In my mind’s eye, one is an ordinary scene with Jesus present, the other without him. How would each picture appear? Isaiah prophesies, “With joy you will draw water from the wells of salvation.” In today’s Gospel, Jesus invites believers to come to him as the source of Living Water. His words cause some to consider that Jesus is indeed the Christ. Others argue that Jesus is from Galilee, while Scripture says that the Christ comes from Bethlehem and descends from David. They have the right idea—but incomplete information about Jesus. The officers who heard Jesus speak cannot bring themselves to turn him in. The Pharisees accuse them of being deceived. They even turn on one of their own, Nicodemus, accusing him also of being deceived, when he urges a fair hearing for Jesus. 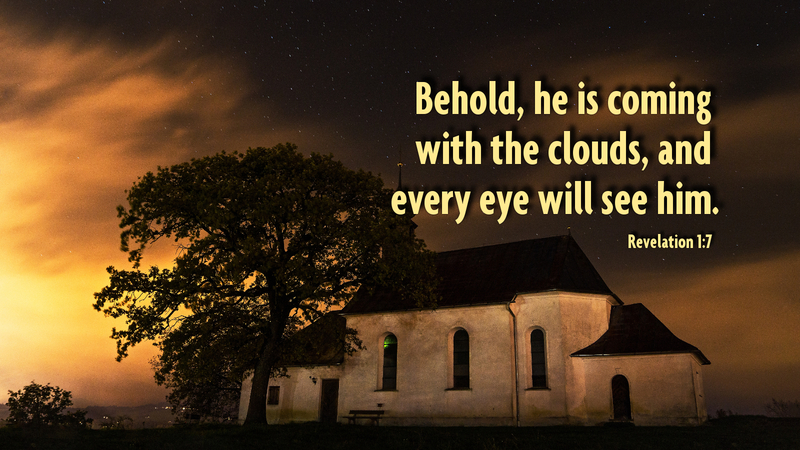 The day is coming, however, when “every eye will see him” and know Jesus Christ in all His power and majesty. Prayer: Lord Jesus, help us to see you and testify to you, so that skeptics and non-believers may question their certainty and come with us to drink of the Living Water. Amen. Today’s devotion was written by Pastor Jan Campbell Unger, Visitation Minister, Holy Ghost Lutheran Church in Fredericksburg, TX.